Here is your daily LawFact from Wise Law for Friday April 29, 2016. Today we are talking about Family Law. Here is your daily LawFact from Wise Law for Thursday April 28, 2016. Today we are talking about Employment Law. Here is your daily LawFact from Wise Law for Wednesday April 27, 2016. Today we are talking about Civil Litigation. Here is your daily LawFact from Wise Law for Tuesday April 26th, 2016. Today we are talking about Wills and Estates. If a deceased person owed support to a spouse or child under the Family Law Act, they may also be entitled to dependent's relief from the deceased's estate under the Succession Law Reform Act. If the deceased's will doesn't provide for these obligations, the dependent can apply in court to receive the support they are owed. Here is your daily LawFact from Wise Law for Monday April 25, 2016. Today we are talking about Family Law. Here is your daily LawFact from Wise Law for Friday April 22, 2016. Today we are talking about Employment Law. Here is your daily LawFact from Wise Law for Thursday April 21, 2016. Today we are talking about Civil Litigation. Ontario's Small Claims have jurisdiction to award damages of up to $25,000in lawsuits brought before the court. In 20112-13, almost 43% of all new civil proceedings in Ontario were commenced in the Province's Cmall Claims Court. Here is your daily LawFact from Wise Law for Wednesday April 20, 2016. Today we are talking about Wills and Estates. An estate trustee is entitled to be paid for the work they do on behalf of the estate. The compensation is 2.5% of each transaction in and of of the estate, and 0.4% of the average value of the estate for each year they act as trustee. Here is your daily LawFact from Wise Law for Tuesday April 19, 2016. Today we are talking about Family Law. Here is your daily LawFact from Wise Law for Monday April 18, 2016. Today we are talking about Employment Law. Here is your daily LawFact from Wise Law for Friday April 15, 2016. Today we are talking about Wills and Estates. These custody appointments are valid for 90 days. After that, a court must make a permanent appointment. Here is your daily LawFact from Wise Law for Thursday April 14, 2016. Today we are talking about Civil Litigation. In many Ontario Civil Cases, a full trial is no longer required for a court to rule. Courts may now decide lawsuits on summary judgment motions that streamline and shorten the process. Here is your daily LawFact from Wise Law for Wednesday April 13, 2016. Today we are talking about Family Law. Here is you daily LawFact from Wise Law for Tuesday April 12, 2016. Today we are talking about Employment Law. Ontario employees are prohibited from discrimination and harassment against any employee. Employers may not discriminate on the basis of race, religion, colour, citizenship, creed, gender, disability, sexual orientation, gender identity or expression, age, record of offences, martial status or family status. Here is your daily LawFact from Wise Law for Monday April 11, 2016. Today we are talking about Wills and Estates. They don't become part of the insured's estate and they aren't subject to estate tax. Here is your daily LawFact from Wise Law for Thursday April 7, 2016. Today we are talking about Family Law. 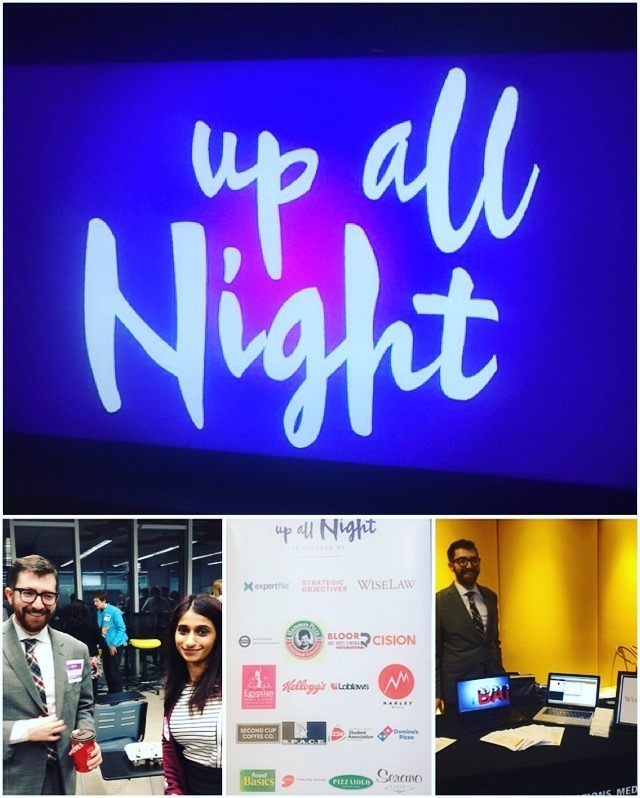 If you follow us on Twitter, you may have noticed that our office recently had the opportunity to both attend and support the Up All Night event, held at Centennial College. The purpose? For the community to come together for one night to focus on building solidarity around mental health awareness and supporting those who suffer from mental health issues. The event asked guests to stay "up all night" as night time is generally the hardest for anyone suffering. Our office felt compelled to be a part of such an important cause as we see first hand how mental health issues impact every sector of law we practice within, most notably, employment law. A fact that wouldn't shock most, but should. The panel talk was positively administered and cultivated an environment that was both informative and accepting so that attendees felt comfortable discussing the issues at hand. All panel members were knowledgeable and ranged from those who have experienced loss due to mental illness, who are leaders in the community, in human resources, taught and were students who had experienced issues first hand. There were even a few brave audience members who spoke out about their own experiences. Notably, how their lives were unquestionably altered for the better, having employers that both accepted mental health issues existed and assisted employees who were suffering from them via counselling services and a general understanding. In the end, nearly $3,000.00 was raised to assist in the #yellowisforhello Friendship Bench, which is a not-for-profit organization connecting students suffering from depression or other mental health issues with available on and off campus support. They install a yellow bench on college and university campuses that acts as an icon to represent being open about our problems, not hiding them. If you're interested in donating to this cause, there's still time and you can do so by clicking this link. Here is your daily LawFact from Wise Law forednesday April 6, 2016. Today we are talking about Employment Law. Here is your daily LawFact from Wise Law for Tuesday April 5, 2016. Today we are talking about Wills and Estates.